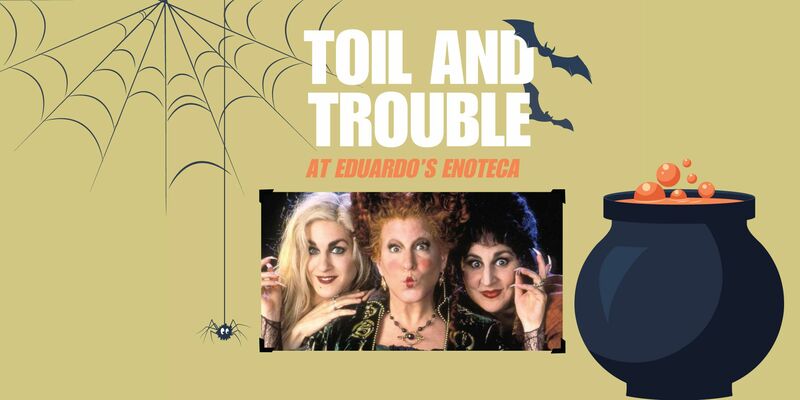 This Hollow’s Eve, join Eduardo’s Enoteca (1212 N. Dearborn St., Chicago, Illinois 60610), on October 28 at 7 pm as they light the black flame candle once again and summon the Sanderson sisters for Toil and Trouble dinner and a movie. Space for this event is limited and tickets are sold on a first come first served basis via Eventbrite. If you have any questions, comments, or concerns call Eduardo’s Enoteca at 312.337.4490. Don’t forget, their ungodly book will speak to you, and on All Hallow's Eve, when the moon is round, a virgin will summon the Sanderson sisters from under the ground. Oh oh! They shall be back, and the lives of all the children of Salem will be theirs! 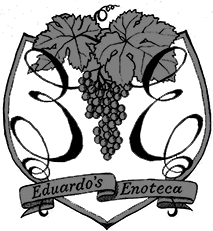 For all Eduardo’s Enoteca news and updates visit eduardosenoteca.com<http://eduardosenoteca.com/>and follow us on Instagram and Twitter @eduardosenoteca.